Call me weird, but I actually enjoy getting up early on the weekend. I don’t set an alarm or anything, but I always seem to be up by about 7:00am. It might be my internal alarm clock at work, but either way, once I’m up, I can’t really get back to sleep. So I usually sneak downstairs and start a pot of coffee. I often have some sort of pastry or treat around (I do write a food blog after all! 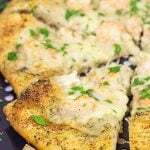 ), so I’ll grab a slice of something delicious and head out to the back porch armed with my breakfast treat and a hot mug of coffee. Most normal people are still asleep, so I find the early morning to be refreshingly calm and peaceful. It’s just me, the birds, and sometimes a dog or two (although, to be honest, they usually stay in bed…the lazy bums!). It’s funny how the little things in life can make such a huge difference! So I got to thinking recently about the little things in my life that I treasure, and the first thing that came to mind was my quiet weekend mornings on the back porch. 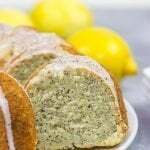 Last weekend was especially nice as I had made an Olive Oil Cake with a delicious Lemon Cream Filling, and I enjoyed this treat with my morning coffee on the back porch. (In fact, I might have gone back for seconds because it was that good!) Talk about the little things in life! This cake is relatively simple to make, and it really highlights the flavor of the olive oil. I used Olivari’s Classic Olive Oil for this cake, and it worked beautifully. Now at this point, you’re probably thinking: “Hmmm, olive oil in a cake? I don’t know about that.” But trust me on this one. I find the cake itself to be somewhat reminiscent of European style breakfast pastries. 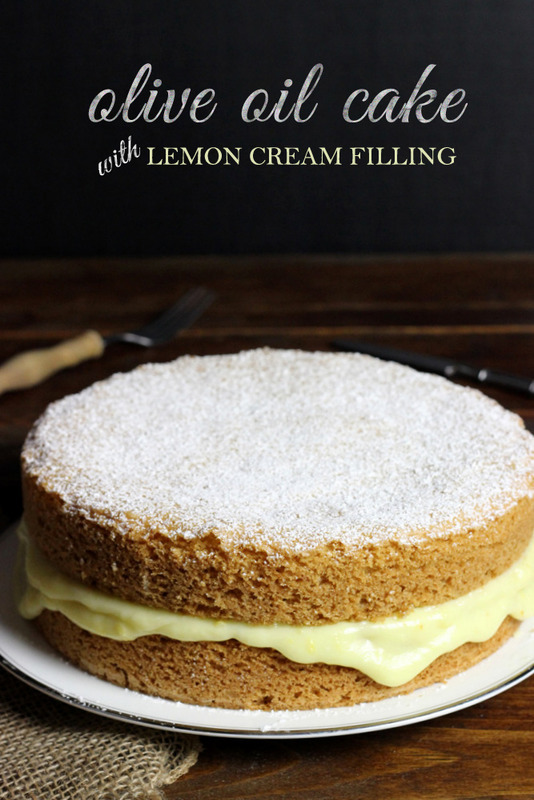 It isn’t dry at all, and the lemon cream filling provides a wonderful layer of sweetness…as well as a brightness that is perfect for summer mornings. And as I mentioned before, the key to this cake is using a quality olive oil. I found the Olivari Classic Olive Oil to be quite smooth, which made it perfect for this cake recipe. I typically make this Olive Oil Cake with Lemon Cream Filling in 2 9” round cake pans. Then I simply stack the two cakes with a layer of lemon cream in between. I also like to dust the top of the entire cake with powdered sugar as it creates a beautiful presentation for serving to guests. (I’m pretty sparing with the powdered sugar as I don’t want to overwhelm the wonderful olive oil and lemon flavors in the cake.) 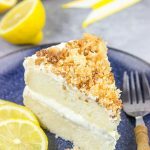 I often serve a thin slice of this cake at breakfast, but it could work just as easily as an after-dinner dessert along with a cup of coffee. In the bowl of a countertop mixer, combine the flour, sugar, baking powder, baking soda, salt, and lemon zest. Stir until well combined. Set aside. 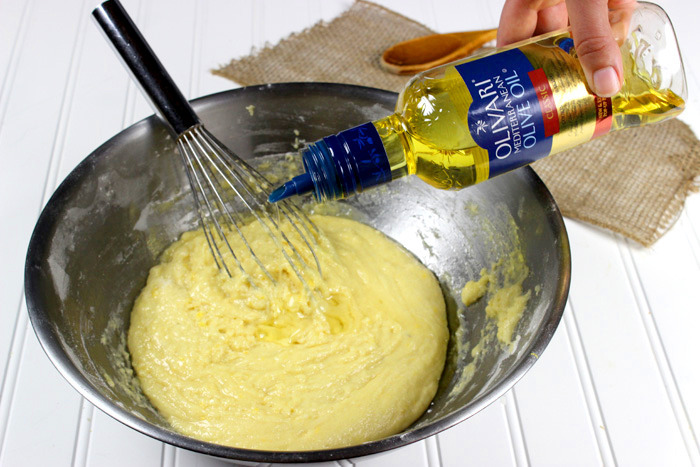 In a medium bowl, combine the eggs, vanilla extract, and lemon juice. Stir until well combined. 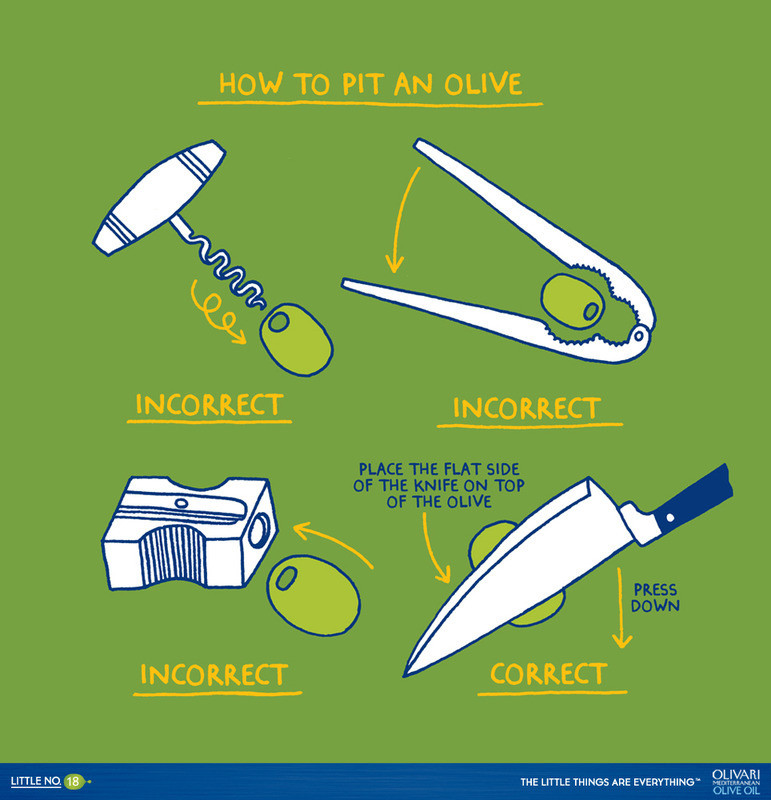 Slowly pour the liquid ingredients (minus the olive oil) into the mixer bowl. Mix on low speed until a thick batter forms. 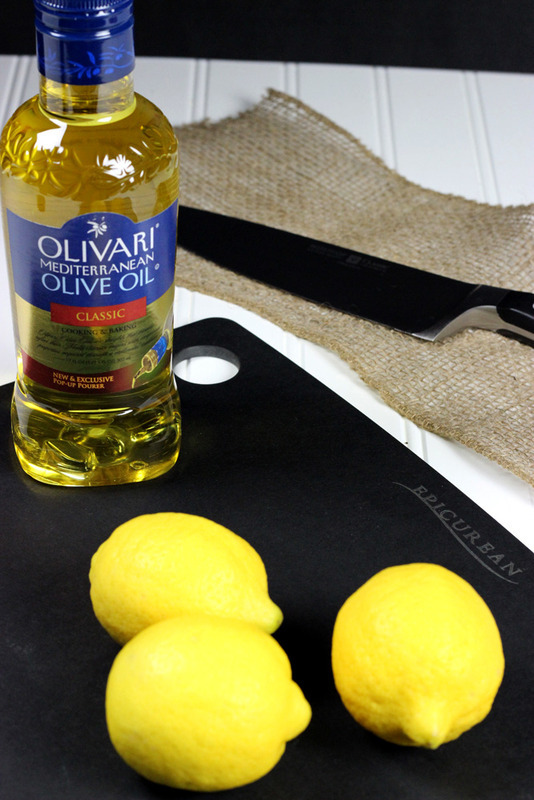 With the machine running on low, slowly pour in the Olivari Olive Oil. Mix on medium-low for 3-4 minutes, or until the batter is uniformly mixed. Divide the batter evenly into 2 ungreased 9" round cake pans. Bake at 350 degrees for 32-34 minutes, or until tops are lightly golden and a toothpick inserted into center of cake comes out clean. Remove from oven and cool completely before filling. In a medium saucepan, combine the sugar, milk, and lemon zest. Stir until combined and then heat oven low heat until gently simmering. Continue to simmer for 3-4 more minutes, stirring often. Meanwhile, in a separate bowl, combine the lemon juice, cornstarch, and egg yolks. Stir until fully combined. Once milk mixture has finished simmering, slowly pour approximately 1/4 of the milk mixture into the egg yolk mixture, stirring constantly while pouring. Allow the combined mixture to boil for 30-45 seconds, then remove from heat. Add the butter and stir until fully melted. 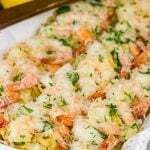 Wrap in plastic wrap and place in refrigerator to cool. Once cool, fold in the Greek yogurt. 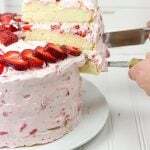 Place single layer of cake on a large plate. 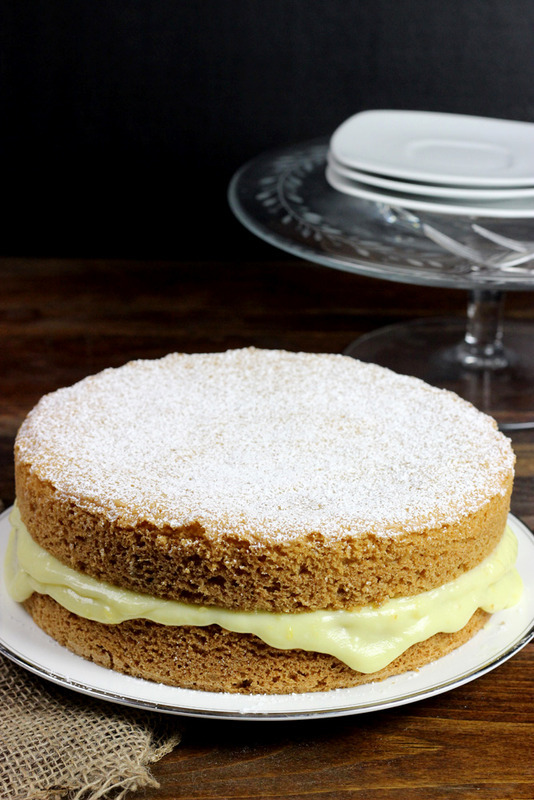 Using an offset spatula, spread a layer of Lemon Cream Filling over top of cake. Place the second layer of cake on top. Dust top of cake with confectioner's sugar (optional). This recipe makes 2 9" round cakes. 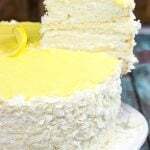 It could easily be cut in half for a single layer cake, and the lemon cream could be spread on top of the cake or served next to each slice. 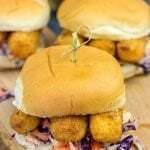 This is a sponsored conversation written by me on behalf of Olivari . The opinions and text are all mine.